Gabriel Obertan | NUFC Blog. Archive for category: Gabriel Obertan. Who made it? And who didn’t? Below you can see two Newcastle United “teams of the season,” which I have assembled based on player statistics from whoscored.com, OPTA and transfermarkt.co.uk. The first (and most important) is based on performances in the Premier League, with the second based on performances in the Europa League. The figures below the player’s names are their ratings from whoscored.com, which are based on a range of performance metrics based on OPTA stats. To put these into some kind of perspective, whoscored’s most highly rated Premier League goalkeeper last season was Sunderland’s Simon Mignolet with an average of 7.0. In defence it was Tottenham’s Jan Vertonghen with 7.6 and in midfield the honours were shared between Arsenal’s Santi Cazorla and Tottenham’s Gareth Bale, both with 7.9. Finally, up front, Liverpool’s Luis Suarez narrowly pipped Manchester United’s Robin van Persie (7.8) with his 7.9 rating. 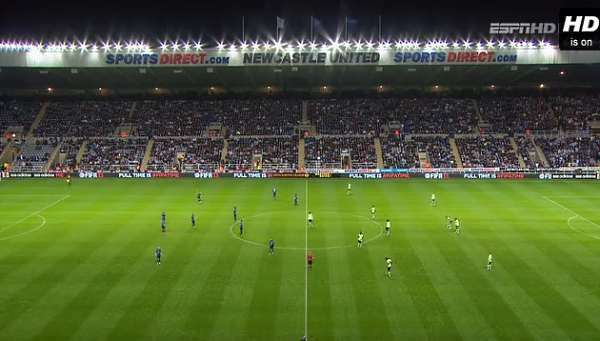 Newcastle United vs Club Brugge full match video. Full match video and highlights of yesterday evening’s Newcastle United v Club Brugge Europa League game at St James’ Park. Highlights of the game include an excellent, Cruyff like flick over the shoulder from Sammy Ameobi before a good assist to Gabriel Obertan for a well finished goal in the 48th minute. Another was another excellent cross by little Shane Ferguson to Papiss Cisse, who’s resulting effort was saved by Bojan Jorgacevic in the Brugge goal. 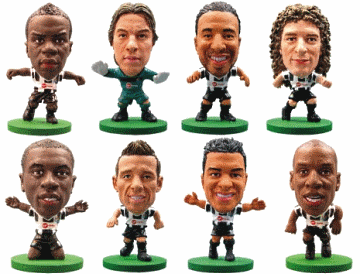 Highlights of this evening’s Newcastle United v Club Brugge Europa League game at St James’ Park. Alternative highlights on the ESPN website. Can Newcastle cope without Ba and Cisse? – An alternative eleven. A potential Newcastle United 11 without Ba and Cisse. Following the departures of Leon Best and Peter Lovenkrands Newcastle United have only three recognised strikers in our 12/13 squad – fact. A much documented lack of transfer activity has left countless Geordies despondent with the size of our squad entering a hectic season, yearning for the signature of a new striker. The biggest worry is that whilst both Demba Ba and Papiss Cisse are competing in the African Cup of Nations (or potentially injured) we will be left unable to cope without arguably our two most recognised strikers, where a lack of goals could become a defining factor in our Premier League campaign. It’s worth noting that Demba Ba and Papiss Cisse contributed a huge 53% of our goals total in the Premier League last year (29 of 55), highlighting their importance. Highlights from yesterday evening’s monkey hanger massacre at Victoria Park. There are also some other highlights here.